If you like Peanut Butter these are going to be a new candy on your Christmas baking list. These are my son Curt's favorite holiday cookie candy. I make them every year. He always said that the dark chocolate is better than milk chocolate in the flavor. I usually make a batch of both. The milk chocolate seems to be a little sweeter but I prefer the milk chocolate. I love no bake kinds of recipes like this one, they are so easy and really delicious. 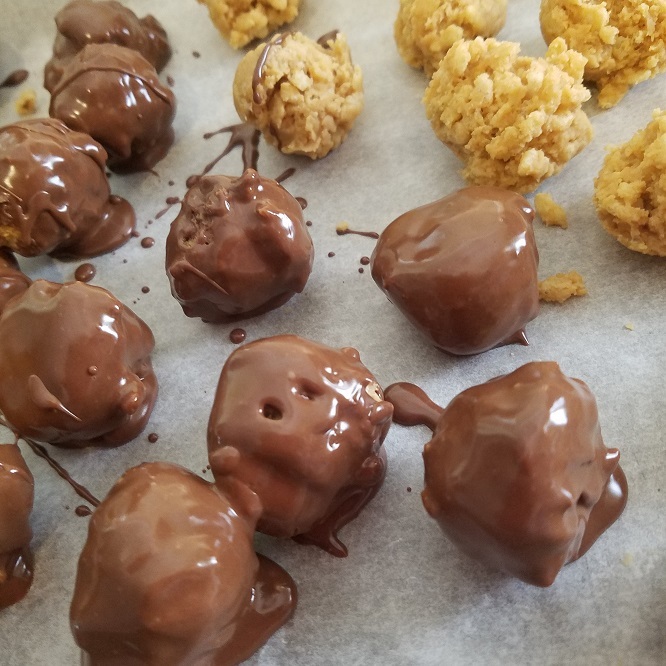 The centers are rich with peanut butter and rice Krispies and dipped they become really decadent and a perfect combination together. A crispy peanut butter candy. Great for a Christmas tray. 1 stick butter melted and blend these two together. Make 1 inch balls and refrigerate until firm. 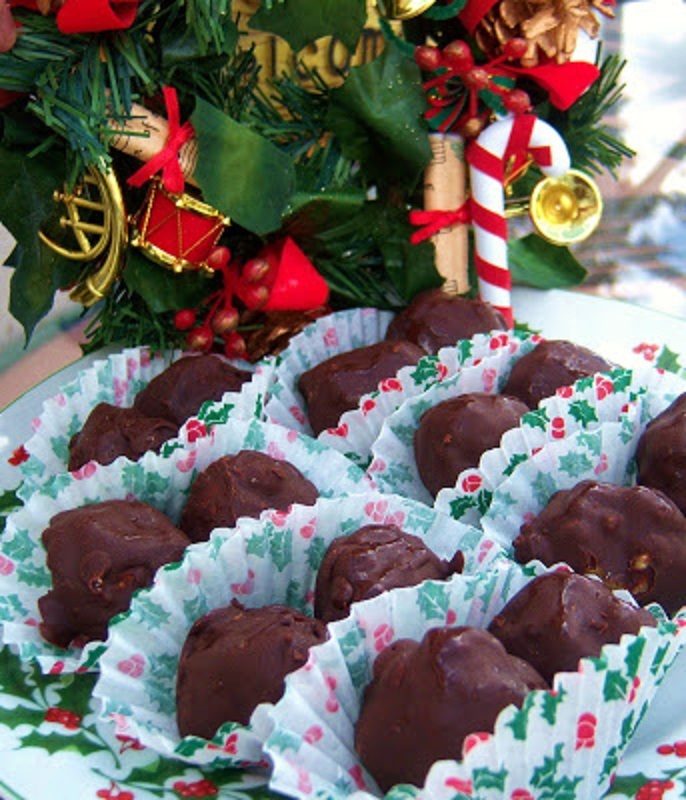 Dip each ball into the melted chocolate and set on a wax papered cookie sheet or parchment paper. Refrigerate till chocolate is firm. yum! those look simple and sweet! 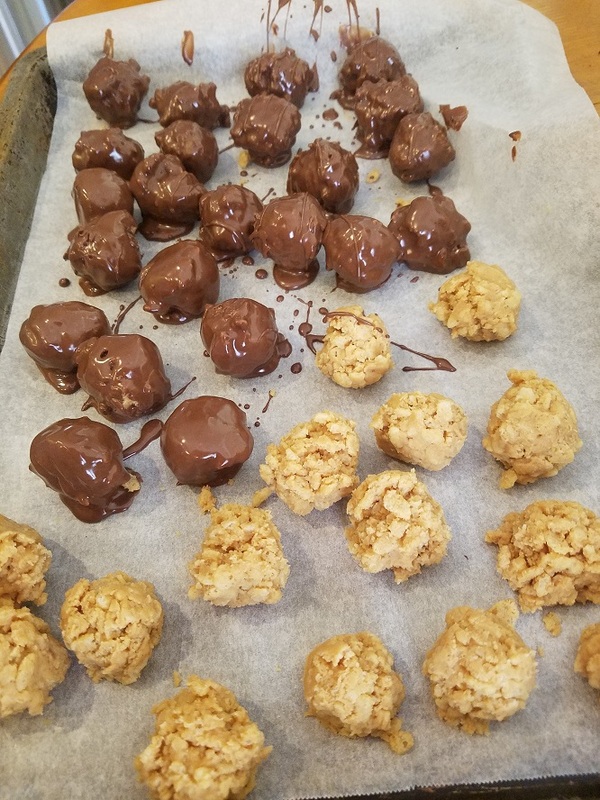 I make nothing with rice krispies and my daughter adores those treats. I shall surprise her. Looks really delicious, perfect treat for holidays. is there any healthy alternative for confectioner's sugar?